Galtee at Hemopet for his required Rabies vaccine. In spite of documented evidence in the research of Dr. Jean Dodds, DVM (Hemopet) and others, the Veterinary Board and the State of California refuse to accept high Rabies antibody blood titers as evidence of immunity to Rabies. According to Jean Dodds, DMV, her research demonstrates that the Rabies vaccine has proven immunity for 7 years, and probably lifetime immunity, yet California law requires that our dogs get Rabies vaccine every 3 years! The label on the Rabies vaccine vial advises veterinarians against giving the vaccine to unhealthy animals–this warning is ignored with horrific results; many dogs develop seizures and immune disorders. It’s been reported that the unnecessary vaccines and the illnesses they cause make up 80% of veterinary practice income! It’s all about money!!! 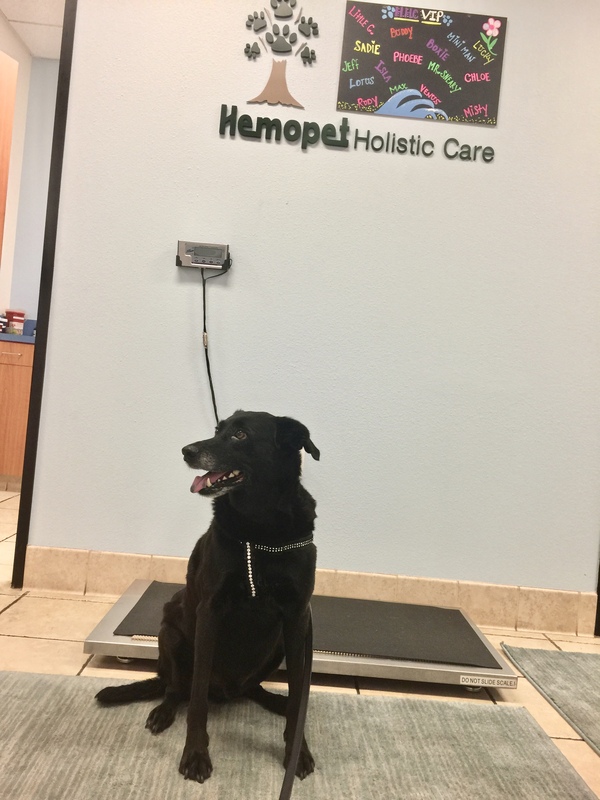 Galtee’s veterinarian recommended Homeopathic Lyssin 1 ml every 24 hours for five days to counteract some of the vaccine effects.